The winning pilots in the FAI World Air Games paragliding accuracy landing event were presented with their medals at the Palm Dropzone today (December 6). Thailand's Nunnapat Phuchong was first up to collect her gold medal for attaining first place in the women's event. Next up on the podium was Serbian bronze medal winner Goran Djurkovic, followed by silver medallist Qiang Ma of China and winner George Cotet from Romania. "The most important thing is to concentrate and relax," Cotet said, adding that he would give his medal to his Mum. "Whenever I compete, I do it for my mother," he said. "It's all for her, including the medal." 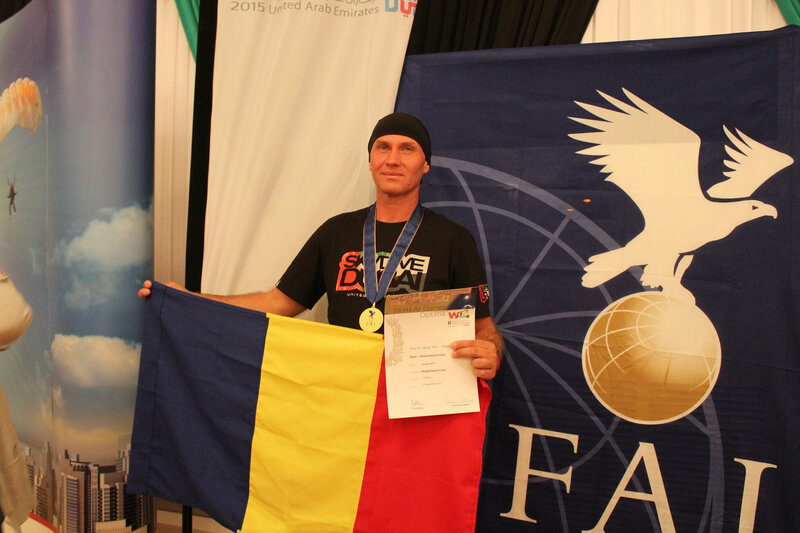 Visit the World Air Games Dubai website for a full list of the results.